The assist technology in this chapter, while most used, are only a fraction of the technology L. Ron Hubbard developed in the area. The books and courses listed here are available to any person wishing the complete data on the subject. 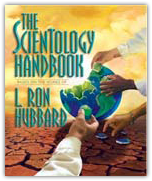 The complete collection of more than 130 different assists developed by L. Ron Hubbard for use in a wide variety of circumstances. Gives detailed instructions for assists to handle toothaches, a fight with a spouse, nosebleeds, newborn babies, people with fevers, even a person in coma. All Mr. Hubbard’s technology on assists is contained in this volume. Complete with reference tables which list the range of assists for different situations encountered. Scientology organizations deliver a course based on the book - the Hubbard Assists Processing Auditor Course - which thoroughly trains a person to skillfully apply all assists.